Vasant Panchami is celebrated on Saturday, 24th January in 2015. The festival of Vasant Panchami is celebrated on fifth day of Shukla Paksha of Magha Maas. 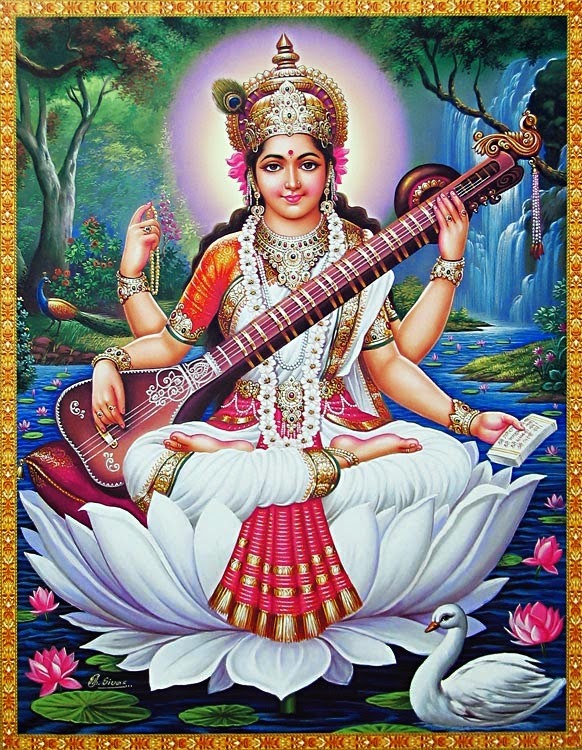 Vasant Panchami also known as Basant Panchami, Saraswati Panchami, Sri Panchami and Shri Panchami. It is a Hindu festival celebrated enthusiastically in India, mostly the northern regions. Vasant Panchami day is dedicated to Maa Saraswati, the Goddess of knowledge, music, arts, science and technology. Basant Panchami symbolizes the beginning of spring, denoted by flowering and blooming of trees and crops. On this day Lord Vishnu, God Radha Krishna and Goddess Saraswati is worshiped with Yellow, white and Pink flowers, Water offerings, incense, lamp etc. Naivedayam (Rice prepared with jaggery) and yellow colored Halwa is offered to God. On this Vasant Panchami day perform the Saraswati Pooja within Panchami Tithi is very important. Vasant Panchami is the day that Hindus beleives Goddess Saraswati was born. Goddess Saraswati is worshipped on Vasant Panchami day. Many Hindu astrologers consider Vasant Panchami as Abujha day which is auspicious to start all good work. According to this belief whole Vasant Panchami day is auspicious to perform Saraswati Puja. On this day in Basara temple, Aksharabhyasam or Vidya Praasana is done for children who are at the age of 3 to 5 years. Being an auspicious occasion, children are taught their first words, hence marking the beginning of their learning period.